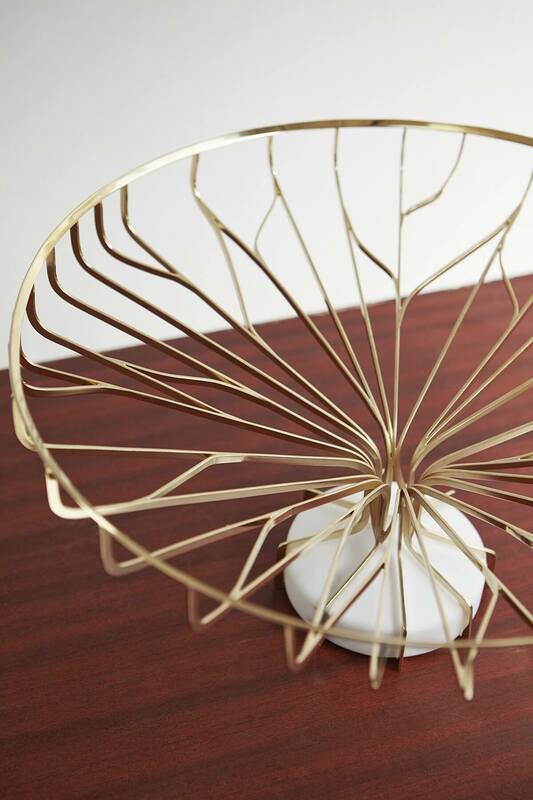 The “Acropora” fruit bowl acts as a direct and biomimetic reference to coral structures. 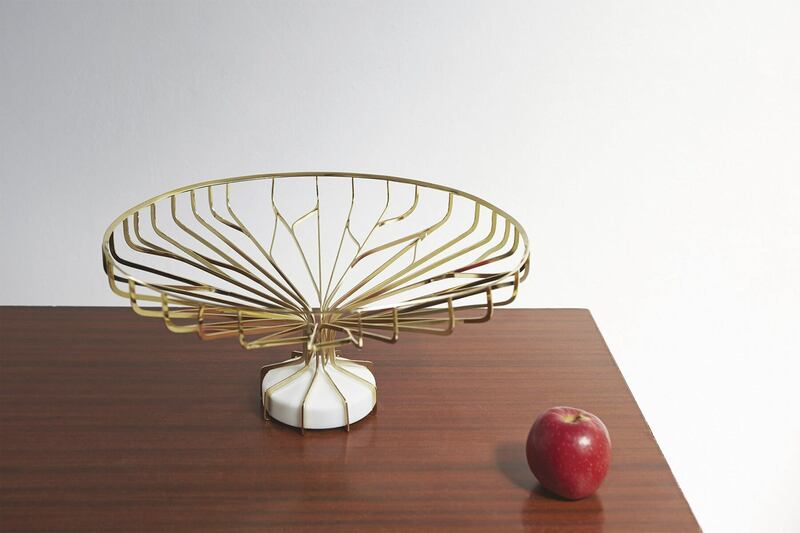 It is composed of a marble stand above which is placed a tree-like brass structure. 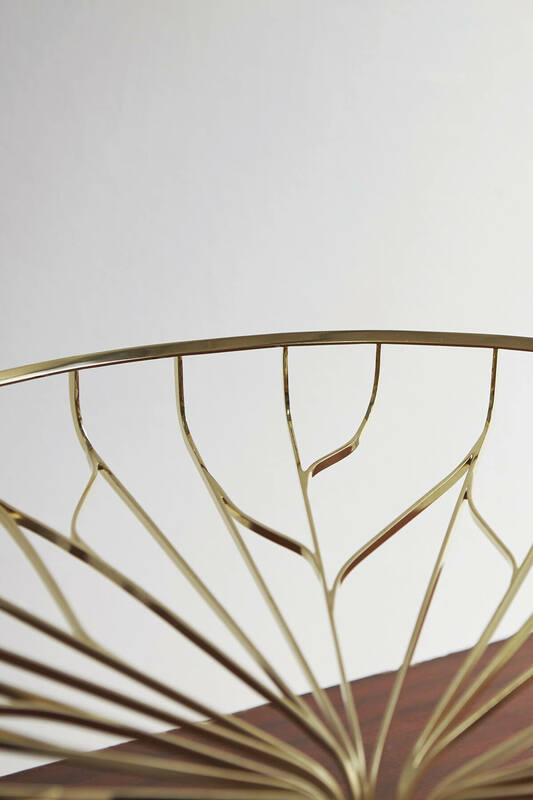 Just like a goldsmith’s piece, the marble base sets the coral whose branches lift up and open up to create a bowl for fruit. This drawing gave way to a whole collection of objects for the table—candleholders, vases, and trays—all conceived with the same founding principle.